How Peloton’s customer service response turned a bad experience into a memorable one. Delta’s unique approach to helping folks fly with kids. 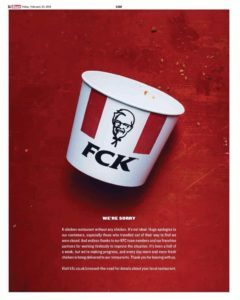 KFC’s edgy ad in response to a chicken shortage crisis in the UK. Why millennials want the mobile experience more aligned with the in-store experience. Joey recently took a flight with his family and his kids took a tour of the cockpit. When they were finished, the pilot had something to give them, but it wasn’t the standard wings. 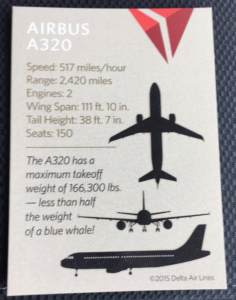 Instead, Delta has made trading cards for every plane in their fleet. We talk about some other aspects of the experience that were great and also look at a moment where even Delta (gasp!) faltered a little. The little things matter: create mementos that go beyond the expected. Be careful that when you’re delivering to one customer, you don’t make another customer unhappy. Anticipate the obvious with your customer. We’re taking a look at Clint Rainey’s article for GrubStreet, “Okay, KFC’s Ad About Its Chicken Shortage Is Pretty Great.” When KFC ran into distribution problems, as many as 700 of their 900 UK locations were forced to close because they didn’t have any chicken. Come for the insights about their customer service response, stay for the fowl puns. You need to sincerely apologize in your customer service response and make sure it’s actually getting through. Know your brand voice and make sure that it’s in alignment with your customers. If at first you don’t succeed, try again and make sure your apology is heard. Go bold or go home: edgy works well with KFC’s brand so the ad was a hit. Peloton sells stationary bikes with a video screen that lets you take pre-recorded or live spin classes, merging the experience of having a bike conveniently located at home with the motivation or going to classes. These bikes are delivered and installed, but Joey’s friend, Matt Ward, had a less than stellar experience. We look at how Peloton’s customer service response made Matt’s experience remarkable. Beginnings matter: the first impressions early on in the relationship are vitally important. Be a human: the Peloton rep asked about the injury first, before getting to the problem at hand. Do the unexpected, because that’s what turns customers into raving loyal fans. 31.7% of millennials want a mobile experience that is more closely aligned with the in-store experience. This number comes from a recent survey commissioned by Oracle, and we talk about what that means for your business. Millennials want the mobile experience to feel in alignment with the in-store experience. There’s still a desire to have the customer experience feel human, even on mobile. Jay Baer: Hey everybody this is Jay Baer founder of Convince and Convert before Joey and Dan kick off the show, wanted to tell you about some of the other sponsors bringing you experience this week in addition to our friends at Oracle CX. This week the show is brought you by a Lightboard, a new kind of graphic design team, dedicated to B2B marketing. We use them all the time here at Convince and Convert for e-books, banner ads, even our holiday card last year brought you by the friends at Lightboard. Super easy to work with, incredibly reasonable price, high quality go to lightboard.io/convince. That's lightboard.io/convince to see what they can do. Dan Gingiss: Join us as we discuss being on an airplane with children, trouble in the world of fried chicken, mm fried chicken and the pre-exercise experience of a new piece of exercise equipment. Joey Coleman: Flying, frying and exercising, oh my! Guess what I did last week Dan. Dan Gingiss: I don’t know Joey probably flew on an airplane? Joey Coleman: Have I become that predictable? Joey Coleman: Don’t answer that. Actually, I did fly last week and this time I had the whole family with me including my wife and my two boys aged four and a half and two and a half. Dan Gingiss: Wow! I bet that was a really quiet uneventful flight for you? Joey Coleman: Actually at this point my boys have spent so much time on airplanes that in many ways they're almost better behaved on the airplane than they are at home. They get on the plane, they put on their seatbelts, they pull out the little safety card and they follow along. My oldest son has learned how to narrate the pictograms in its … I imagine it's probably disconcerting for the other people on the plane to hear a little four and a half-year-old voice saying, "And, if you look out the window when you see flames or debris, don't open the door." He has fun whatever it is. The three interesting things happen on this flight that I wanted to talk about. Number one, when we got on the plane, my son is very interested in mechanics. He's interested in how things operate and he loves vehicles of all kinds. So, whenever we get on a plane, he's very excited about this and he wants to drive the airplane which obviously is not a service that the airlines currently offer to their customers, but we get on the plane and he immediately wants to turn because we were entering the plane up front by the cockpit. He wants to see what's in the cockpit and the pilots are always super nice about accommodating him and letting them look at things and even occasionally press a button or two. This flight was a little bit different because not only did the pilots engage, but when we were done, the pilot said, "I have something for you." I have to admit I'm thinking he's going to give out wings which often they'll give out kids. The little wings they can put on their outfit. Instead, he hands him a trading card. 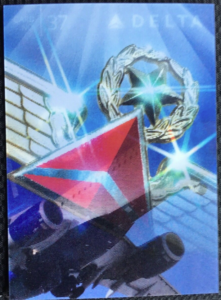 As it turns out Delta made trading cards for the different planes in their fleet. It's a little lenticular, the card that when you shake it or move it, it looks like the plane is taking off or flying and the logo appears and goes away. On the back it has some specs about the airplane. What was fascinating is how much my son loved this. He thought it's like the airline version of a baseball card. He was super excited about it. He wanted me to take good care of it and put it in his bag. I thought it was interesting because it gives the child something to collect but it also gives something for the pilots to engage with, because they do see kids in the cockpit from time to time and it gives them something to give a little memento. Dan Gingiss: Yeah, I really like it. It isn't the wings because that is sort of the predictable experience. I love that they can collect it. There's certainly … I mean I was in the collectibles business for the first four years of my career. In fact, did a lot with trading cards and they can be very addicting. So, watch out because your kids at some point they're going to be like, "Oh Dad we've already been on a 747. Get us on a new plane." I think it's a great idea. Joey Coleman: It definitely was something that caught my attention. The second thing that happened was when the flight attendant came by to offer us drinks and snacks, my son was sitting there and I was on the aisle and my four and a half year old was on the window seat. The flight attendant kind of said to me under her voice, "Are you okay if I offer snacks and a drink to your son?" She said it in a way that he couldn't hear me. I have to admit I really appreciated this, because flight attendants probably know this better even than parents flying with kids but one of the things we try to monitor a little bit is the sugar intake when we're on the plane, because obviously the more amped up the kids get, the less likely they are to sit their seats and follow the directions around seatbelts, but I really appreciated that she asked me first but then acted as if that conversation had never occurred. The rest of the conversation was all about engaging with my son and asking him what he wanted. "Oh what do you want to drink? Oh, apple juice. Do you want me to put ice in that? A little. What kind would you like?" Really giving him a lot of agency. What I find is and I don't know if you … your kids are older than mine. I find the more you treat a little kid like a big kid, the more they behave like a big kid. It's like they almost rise to the occasion. I thought she did a great job of doing that. Dan Gingiss: Yeah. I think it's a fairly simple but a good way of approaching children on a plane, because some parents might be more particular than other parents. Some of them might be like, "Give them anything on the menu." Some of them might want to stay away from sugar or other types of things or there might be allergies or who knows what could be going on. So, I think it's certainly good idea to have asked you. Joey Coleman: Agreed. The last thing that happened that was kind of fun was on the way back and I use kind of fun with biting sarcasm there. On the way back, we were supposed to fly from Baltimore to Detroit. We get to Baltimore, we find out that our flight has been delayed so we're going to miss our connection in Detroit which means they're going to … back to Colorado so they're now going to fly us from Baltimore to Detroit to Seattle to Denver and yes for those of you that have studied geography, you know that that would mean we fly past where we need to go by a significant number of miles to turn around and fly back. So, they had to switch us to another airport to depart. So, instead of departing from Baltimore, we departed from Washington DC which was a nice little turnaround in cab back an hour the way we had just come, but that meant we were flying on standby. So, we were confirmed for the first flight which now went from Washington DC to Atlanta but we were standby on the flight from Atlanta back to Colorado. There were the four of us flying. When we got up to the counter for the standby, they mentioned that they had some seats but they weren't sure how many they had, but they were probably going to have three. We said, "Well, we're probably not going to take you up on three, because that means we have to leave one member of our party behind." They said, "Well, we'll see." A few minutes pass and they were like, "Yes, we have three seats available. Will the Coleman party come forward?" I'm thinking, "Is one of you going to watch one of the kids? Because the way this is going to work is we're going to leave one of the kids behind or my wife's going to get left behind or I'm going to get left behind and that means one of the parents is going to have to fly with both kids by themselves. So, the take away that I had in this moment was normally I feel like the airline does a pretty decent job of thinking through some of these things, but in this moment, it was like they could've skipped right past us, told us, "Hey, we're not going to have enough seats. Sorry. We've got you on the next flight. Go have some dinner, hangout." and automatically made those other people in the waiting area happier, because it would've been able to assign them seats faster. It's a little thing, but because every once in a while people chime in and comment on the show and they're like, "Geez, does Joey ever have a bad experience on Delta?" This wasn't a bad experience, it was just an opportunity to improve the experience. Joey Coleman: Why don’t you just stay here? Yeah. No, absolutely. Absolutely. So, I think there are three key takeaways from the story. Number one, the little things matter. Create fun mementos like the trading card that go beyond the expected the wings. With all due respect, my sons have been on enough flights. They have their wings. So, those have lost the novelty. Always be upping your game into some new collectible or new memento with the experience for your frequent flyers or your frequent buyers or your frequent customers. Number two, be careful out when you're delivering the one customer that you don't inadvertently make the other customer unhappy. The flight attendant did a great job of checking in with me to make sure that the offer that was going to be made to my son was in alignment with what I was hoping for. Number three, anticipate the obvious with your customer. It is highly unlikely that we were going to leave either my wife or I or one of the kids behind so that three of us could catch the flight and the fourth one would be left there. So, make sure to look and provide a little bit of logic to the table. Bring a little bit of logic to the table when you're doing this so that you're able to anticipate the likely path that your customer would take and then suggest accordingly so as to make everyone's life and everyone's experience better. There are so many great customer experience articles to read, but who has the time? We summarize them and offer clear takeaways you can implement starting tomorrow. Enjoy this segment of CX Press where we read the articles so you don’t need to. Today's CX Press article comes from the website Grub Street and is written by Clint Rainey. The article is entitled "Okay, KFC's Ad About Its Chicken Shortage Is Pretty Great". Dan, did you hear about the chicken shortage in the UK? Dan Gingiss: I sure did. You'd have to be somewhat living under a rock to have missed that one. Joey Coleman: I figured as much. For those that might have missed this or might've been camping out under a rock at the time, Kentucky Fried Chicken or KFC as it's known to most made the decision to switch food distributors in order to save some money. Regrettably, their new distributor DHL didn't deliver so while KFC saved money, they didn't have any chicken delivered to their stores literally and things got ugly fast. As many as 700 of KFC's 900 UK locations were forced to close because they didn't have any chicken. Dan Gingiss: Yikes. A reminder that classic meme "You had one job." I mean that's a disaster, right? You cannot have a restaurant that has chicken in the name and not have any chicken. So, this actually created a chicken crisis. So, in their first attempt to solve the problem, KFC tweeted. Joey Coleman: I'm sorry Dan, did you say the chicken tweeted? That's just too good, right? I mean the chicken tweeted. Dan Gingiss: Oh yeah. Thank you. Thanks. That was great. No, the chicken company tweeted and here's what they tweeted. It was like an image which will of course include in our show notes at www.experiencethisshow.com and so they tweeted "The chicken crossed the road just not to our restaurants. We brought a new delivery partner on board but they've had a couple of teething problems. Getting fresh chicken out to 900 restaurants across country is pretty complex. We won't compromise on quality so no deliveries has meant some of our restaurants are closed and others are operating a limited menu or shortened hours. Shout out to our restaurant teams who are working flat out to get us back up and running again." Well speaking of flat, regrettably this fell flat. People were not happy and Twitter of course blew up. It escalated the people. Joey Coleman: Twitter always gets excited when these types of things happen. Dan Gingiss: I know. Too bad you weren't there to witness it Joe. Joey Coleman: I know. I know. Sorry. Need to spend more time on the tweeter. Dan Gingiss: So, it escalated to people actually calling the police when they arrived at a KFC to find it close and this led to police in places like London and Manchester needing to remind angry KFC fans that the hashtag KFC crisis was not a police matter. Not to mention that it quickly became an international story when before it was limited just to a regional situation. Dan Gingiss: You can't even say it. Joey Coleman: I can't even say it. I wanted to say but KFC's goose was not cooked. Folks, I'm sorry. I'm sorry that was bad. Dan Gingiss: You couldn’t even script this stuff if you tried. Joey Coleman: That's bad. That's bad. I'll stop now. Okay. So, KFC did work to remedy the situation. 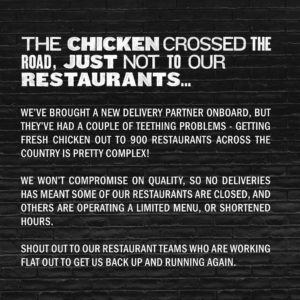 Not only did they hustle to get the delivery problems all sorted out, but they took out a full-page apology ad in the Sun and Metro papers that showed an empty bucket of chicken and instead of having the normal KFC logo on the bucket, the bucket said FCK in very big letters. So, it's still in the same typeface. It looks like their logo but for those paying attention, it switches from KFC to FCK, okay? Now remember this was in London and throughout the UK. So, they're a little more comfortable with some of their ads being more edgy than people are here in the United States. The text of the ad read a chicken restaurant without any chicken, it's not ideal. Huge apologies to our customers especially those who traveled out of their way to find we were closed, and endless thanks to our KFC team members and our franchise partners for working tirelessly to improve the situation. It's been a hell of a week, but we're making progress. Every day more and more fresh chicken is being delivered to our restaurants. Thank you for bearing with us. This was a huge hit not only with consumers who kind of forgave KFC for the chicken crisis, but with the press and with PR crisis management folks as well. In fact, one PR exec called the apology ad "a master class in PR crisis management." Dan Gingiss: This is not the first time that we've seen companies kind of mess up the initial PR response and then come back and fix it. As the old adage says, "If at first you don't succeed …" and they did, they tried again and I think this time they figured it out. Obviously, if you are going to take your own logo, I cannot believe the brand marketing team allowed it which is awesome that they did or maybe they just knew nothing about it, but they take your own logo and you rearrange it to spell out some letters that does not leave a lot to the imagination. I think that was the first thing is that that was pretty eye opening and that got people's attention. Then that got them to read the ad, the text of the ad, which it hits all the right notes. It's empathetic. It's apologetic. It understands that the situation that they put their customers in and it's also asking for them to … asking customers to keep bearing with us and thanking them for doing so. So, I think that was very, very well. Of course, it could have gone the other way and as we've talked about before when you are edgy or you use humor, you risk offending people. I think in this particular case, they seem to get away with it pretty well. Joey Coleman: They did. I think as a result our key takeaways from this CX Press article is number one you need to sincerely apologize. As the kid say, "The struggle is real." This was the KFC chicken crisis. People were bothered by this and understandably so. You get all the kids, you load them up in the car, you take them down to KFC to have some dinner and you find out it's closed. So, they definitely I got to say it ruffled some feathers but … it's too easy. It was too easy. They did a good job of bring it back and sincerely apologizing. Number two, you need to know your brand voice and make sure it's in alignment with your customers. As I kind of hinted to when we were talking about this, I'm not sure that this ad would've played as well in the United States as it did in the UK. The agency that created it is Mother London. They are a well-known award-winning agency in the UK. They're known for being a little edgy and so they delivered. I think it worked really well. Number three as Dan said if at first you don't succeed, try, try again. The first communication, the tweet, it flopped. The second communication, the ad, was met with rave reviews. They didn't give up. They kept at it. Finally, number four, go bold or go home. Edgy, yes and edgy works well with KFC's brand. For some businesses, this type of ad or this type of cheekiness as our friends on the other side of the pond might say would not have been acceptable, but for the brand message and for kind of the brand spirit at least in the UK this really was in alignment and worked well. So, I love it. I think it was a great example of righting a wrong and fixing something that had gone awry. So, kudos to you KFC UK. Dan, I have to ask, have you experienced the Peloton bike craze at all? Dan Gingiss: You know Joey, I am not nearly as cultured as you are so I have not yet experienced the Peloton bike craze, but I am hoping to experience the essence of it right now. Joey Coleman: All right. So, in the last few months and since we mention living under a rock, maybe that you have been under a rock in the last month, Peloton has exploded in the marketplace. They are everywhere at least here in Colorado. They advertise on the trains. They advertise on trucks driving through town. There's a display in the mall where they have it and basically the Peloton so that you know it's a stationary exercise bike that looks a lot cooler than the old stationary ones. It has a video screen attached to it where you can do live and/or recorded classes. So, basically, this is the way that they have created the mash up or the hybrid between having a stationary bike at home where you kind of ride in isolation and a stationary bike at the gym where you can ride next to other people or there's media spin class or something you can do but you have to go to the gym to do it. Peloton has merged these two experiences. So, I've been seeing a lot about Peloton kind of in the marketplace lately and as a result wasn't surprised when my good friend and a loyal listener to the experience of this show Matt Ward shared that he had purchased a Peloton bike. Now what did surprise me was that he shared a less than positive experience. 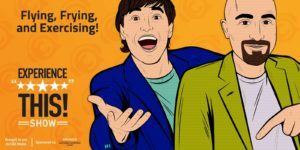 So, Matt wrote a blog post about this which we'll link to in the show notes at experiencethisshow.com and I'm quoting from his blog post. "When a Peloton bike gets delivered, it includes set up. The delivery team sets up the entire bike and ensures connectivity to the internet and that all parts are present and working. The next morning I’m excited to hop on the bike. I get all geared up, water bottle check, sweat towel check, bike shoes check, spandex …yeah no, no spandex. I hop on the bike. I don’t even get halfway on when a pedal snaps off the crank and falls to the ground. My first thought, "Oh boy, this thing isn’t built for someone my size." Upon further investigation, I found that the threads were chewed up both on the pedal and on the crank where the pedal was attached. Dan Gingiss: Wow! So this new piece of home exercise equipment broke on the very first try and/or the set up that was included didn’t actually set up? Joey Coleman: Yeah. So, we're not off to an auspicious start here with Peloton, but as if this wasn't bad enough, Matt goes on to explain that he tries to fix the pedal himself and cuts open his finger on the pedal. Dan Gingiss: Okay, this is not getting any better. Joey Coleman: Yeah, he's definitely having a bad day. So, he calls customer support and guess what happens? Dan Gingiss: He finds out that they are experiencing extremely high call volumes but their call is very important to him. Joey Coleman: Yeah, that message that we all have grown to love to hate. You guessed it. That is indeed what happened. After being on hold for a while, he finally gets connected to a woman named Nikkisha. Nikkisha is as call center rep who first and foremost basically stops the conversation to make sure that Matt is getting medical attention if he needs it and really focuses in to make sure … now as it turns out this cut was pretty minor. Yes, he was bleeding but it was not a major thing. She really made sure and shows a lot of empathy and concern for his personal safety and well-being. Once she's assured that he's okay, then she shifts the discussion to fixing the bike. She identifies the issue. She gets the details on which parts are actually defective or weren’t working. She orders them immediately and ensures that they're going to be delivered overnight so that Matt can start using the bike again as quickly as possible. Then almost as an afterthought she says, "Oh by the way, I've issued a full refund for the delivery and set up." which the delivery and set up charge on the Peloton bike is $250. She does this without even being asked. Dan Gingiss: Wow! I'm not sure what is more shocking to me, the delivery and set up is $250 or that she was so quick to issue the refund. I think your point here is that she was quick to issue the refund. Joey Coleman: That is my point. As somebody who interest of full disclosure actually has a Peloton bike, we got one very recently. These things require delivery and set up. The guy was here at the house about an hour setting up our bike because they have to connect it to the Internet. They show you how to navigate through the screens. They set up your user account and that's after they've spent the time assembling the bike so it comes in a big truck and the package and they build it all together so that it's all purposely and perfectly built and ready for you to use. What was interesting is our guy and of course being a customer experience guy, I'm chatting up the installer who is by the way a certified Peloton installer talking about the various challenges he has and realizing in this moment that if you're a business that sells to end-users that you never meet and are relying on third parties to deliver your product or set up your product as in the case of Peloton, there's a lot at stake. What I think is great here is that Peloton has recognized that their partners at least in the case of Matt's story when the pedal was defective and broke off, that the partner probably miss that and instead of doing what the typical business does which is blame the dela- "Well, that was the delivery person. You're going to have to take it up with them." They accepted full responsibility, handled it, issued a complete refund, got the new part out immediately so that it could all be taken care of the next day. I think that's the kind of going above and beyond that is going to turn people into long-term raving fans of Peloton. Dan Gingiss: Yeah, totally agree. 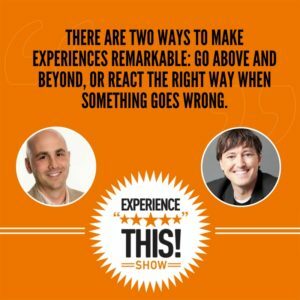 There's two ways to make experiences remarkable. One is to do the unexpected proactively and the other is to react the right way when something goes wrong. I don't think customers expect perfection from brands, but they do expect them to clean up their own messes and to do it quickly. It looks like that this woman did that and then went a little bit above and beyond in terms of refunding the $250. I'm guessing your friend Matt would probably have been fine with the parts getting overnighted to him and maybe some instructions and an apology. That was probably enough because it would solve his problem but to then go and issue the full refund is going above and beyond and I think that is the sign of a company that wants Matt to be a lifelong customer. Joey Coleman: I agree and I think it's a sign of a company that if they can continue to maintain that type of philosophy in how they treat their customers, not only will they have customers for a long time but they will be around for a long time. So, I think there's three key takeaways from our Peloton story. Number one, beginnings matter. We've talked about on the show before about the first 100 days and those first impressions early on in the relationship. The impression of stepping on the bike to do your first workout and it breaking is not a good first impression but Peloton did a great job correcting it very quickly. Number two, be a human. Ask about the injury first. I thought that was a really fantastic way that the representative from Peloton focused in on what was most important and as soon as she knew that Matt had been injured, wanted to make sure that that was all taken care of before getting to the problem at hand. Number three, do the unexpected. The refund was unexpected, and guess what? It led to a great blog post and now us talking about it on The Experience This! Show. That is certainly worth well more than $250 and is a great way to say that we stand by our products, we stand by our service and we're going to do whatever it takes to make you feel right and feel whole. Folks, I think Peloton is a brand to keep an eye on. They're going places. Listen in while we try to stump and surprise each other with the fantastic statistic from the worlds of customer experience and customer service. It's time to check out this number. This week's number is 31.7%. What do you think it refers to Dan? Joey Coleman: Exciting, isn’t it? Dan Gingiss: Yeah. This is like really specific. Joey Coleman: This is really specific. Dan Gingiss: Yeah, it's not 31.8. Definite not that high. Joey Coleman: [crosstalk 00:27:28] 31.7. Dan Gingiss: 31.7. I got to be honest with you Joey, I have absolutely no idea. Joey Coleman: Wow! Ladies and gentlemen, we have a first on The Experience This! Show. We have no snarky comedic attempt guess at what the 31.7% means. Okay, that's all right. I will tell you. This number refers to the percentage of millennials who want a mobile experience that is more closely aligned with the in-store experience. This comes to us from a recent survey commissioned by Oracle and conducted by research agency Morar Consulting where they surveyed 13,250 consumers around the world to determine evolving shopping trends and desires across the generations namely looking at the differences between millennials and baby boomers. Dan Gingiss: So, I think this a really interesting study but I'm not sure what to make of the 31.7%. My first instinct was to say, "Man, that seems low." That I would expect more millennials to want that kind of a mobile experience, but now I'm thinking that maybe what it is is that the in-store experience itself has never been really great. So, why make a mobile experience that mimics an in-store experience when mobile in theory you could make the experience much better and so maybe that's why that number is so low. What did you think? I'm not [crosstalk 00:28:52]. Joey Coleman: That's interesting. I kind of took it a different way. I took it as that they want the mobile experience to feel in alignment with the in-store experience, and they're kind of looking at the in-store experience as the North star or the guiding reference point that they want mobile to mirror that instead of mobile to have its own experience or mobile to be the driving force behind the in-store experience. So, to me the takeaway was there's still this desire to have it feel human. There's still the desire to have it feel like people are involved and it's a physical experience or real world experience as opposed to just a mobile experience. You can learn interesting statistics like this from our friends at Oracle Smarter CX who by the way have a cool new tool called the CX assessment tool. What happens is in less than two minutes you answer a series of questions and see how your organization stacks up in the world of CX. This is actually really fun folks. I did this the other day. It's got a fun interface. It really is … it's not one of these surveys that actually takes you 50 minutes and they tell you it's going to take two minutes. It's really quite fast. So, you can find this at oracle.com/cxperformance. You should go check it out today and do your own assessment, see what you think. Thanks so much to our friends at Oracle for assessing our show to be worthy of their sponsorship. We really appreciate the support.